Properties in Surfdale average 4.6 out of 5 stars. We left 4deg in London, arriving to 25deg on Waiheke. 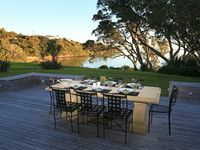 An oasis after the big city, with the Waiheke Wonder cottage perfect for both our weary bodies and our adventurous nearly 2yr old. 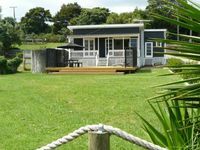 Heaps of space, half tub for bath time, big deck and lawn to play in, plus a beach and playground at the end of the garden. What&rsquo;s not to love! The simplicity of the house and it&rsquo;s location, Found cafe, fruit n vege store, pizza place and an Irish pub less than 500m away. Perfect. Wonderful home with everything we needed for a magical family weekend. Perfect position in a quiet area right next to a reserve and secluded bay. 10/10 in our books!